MAY 22, 2018 — NOAA and the National Fish and Wildlife Foundation are joining forces to restore habitat damaged from oil spills and hazardous waste releases in California. 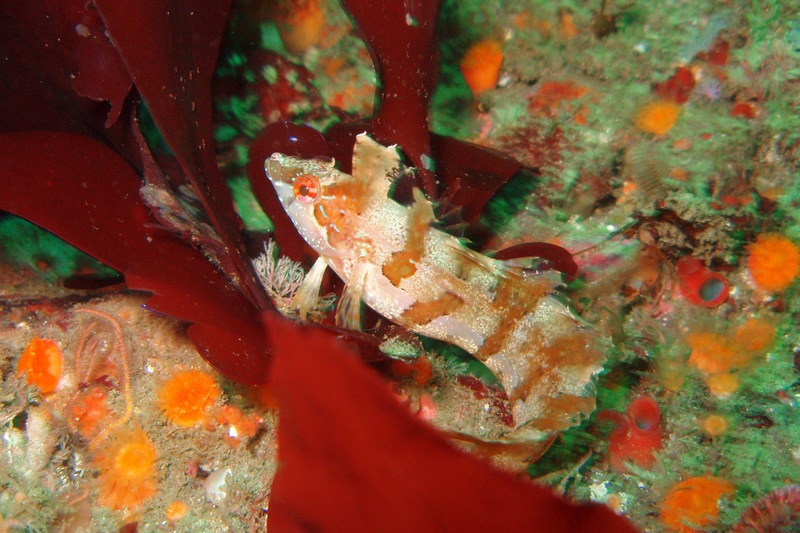 A crevice kelpfish exploring a rocky reef in Channel Islands National Marine Sanctuary, an example of rocky reef habitat. Image credit: NOAA sanctuaries. An initial cooperative agreement between the two organizations includes a recommendation of $1.5 million for restoration with potential for additional funding to support similar projects in other regions over the five-year time period. The multi-year partnership will help NOAA make major progress toward restoring areas impacted from the S.S. Jacob Luckenbach and M/T Command oil spills, and the Montrose hazardous waste site. Priority activities include restoring 37 acres of kelp forest and planning for restoration of a rocky reef at the Montrose site, essential habitats supporting a diversity of fish and marine life that are important components of commercial and recreational fisheries, and other recreational industries. For the full story and additional resources, read the Damage, Assessment, Remediation, and Restoration Program article here.